I put it in the basement to use for my dog washing and it's great for washing my hair. finally have the right water pressure. Allows you to clean your sink after washing paint brushes, rinsing out cans, etc. Allows you to direct the water where you need it. 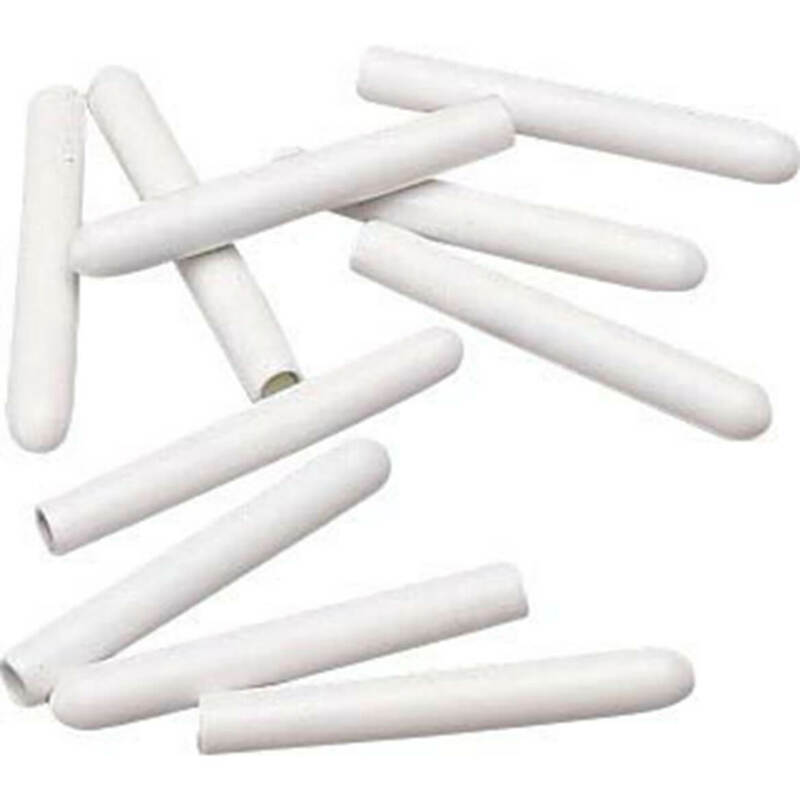 Great product.I not only would recommend this to a friend,....I bought them one. It's so easy and convient to use. We use it to clean everything even give our pets a bath with it...it's also easy to clean, I don't know how we did anything without it now. We rent our home and did'nt want to put money out for a sprayer that we would have to leave behing someday. Excellent money spent I would buy it again. Very happy with Walter Drake. I received my faucet sprayer very quick. It works great for my laundry sink. Just what I was looking for. Washing and rinsing pots and pans is soooo easy. Water reaches every corner of the sink, so keeping it clean is no problem, either. This sprayer is great! It makes my water pressure better, and I'm able to rinse my sink after loading my dishwasher. I wish they would make one that the sprayer isn't as long. make 2 different sizes. this flexable faucet is really useful for my kitchen sink. I keep it on most all the time. This really is a handy and useful tool for the kitchen. 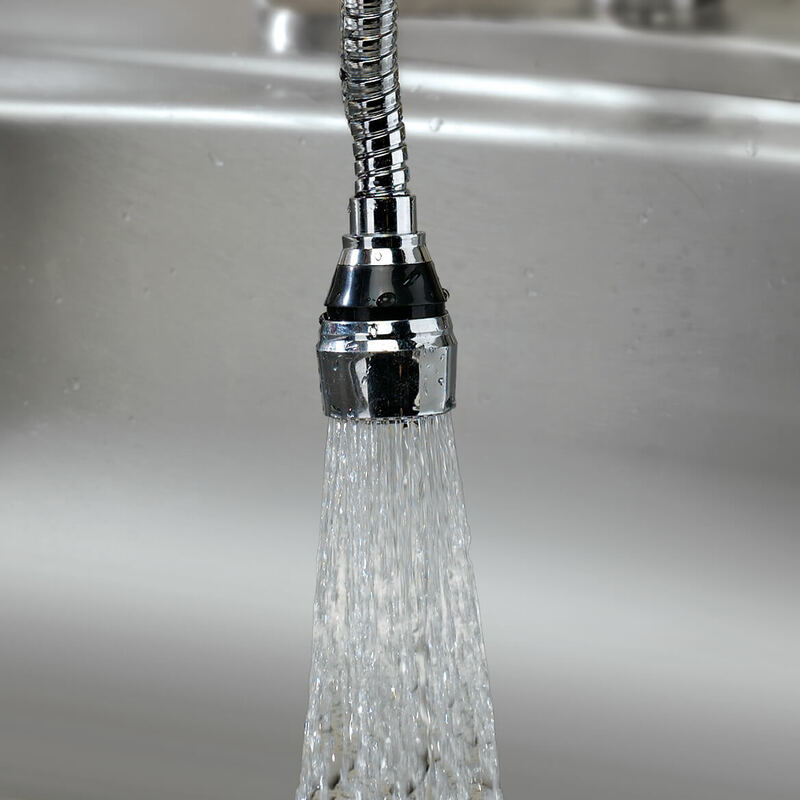 This little gem works really well, the water comes out equal to your water pressure, it swivels well enough to reach all around your sink and it is really easy to install following the directions. If I had to say anything negative it would be that the hot water makes it hot to handle at times. But all in all it is well made. I got two of these to use in the utility (slop) sinks in my laundry room and garage. I was considering adding an expensive sprayer to each sink like the kitchen sink so I could spray rinse the entire sink. These work perfectly. Tight fitting, no leakage. GREAT!! The flexible faucet sprayer is a very handy addition. The sink in my apartment does not have a sprayer, until now. This handy device really does the job. I have wanted this for awhile. When I saw this in Miles Kimball's catalogue I had to have it. It is so useful to me, my sprayer on my sink did not work. It is very easy to use and very convenient for me. I enjoy using it! 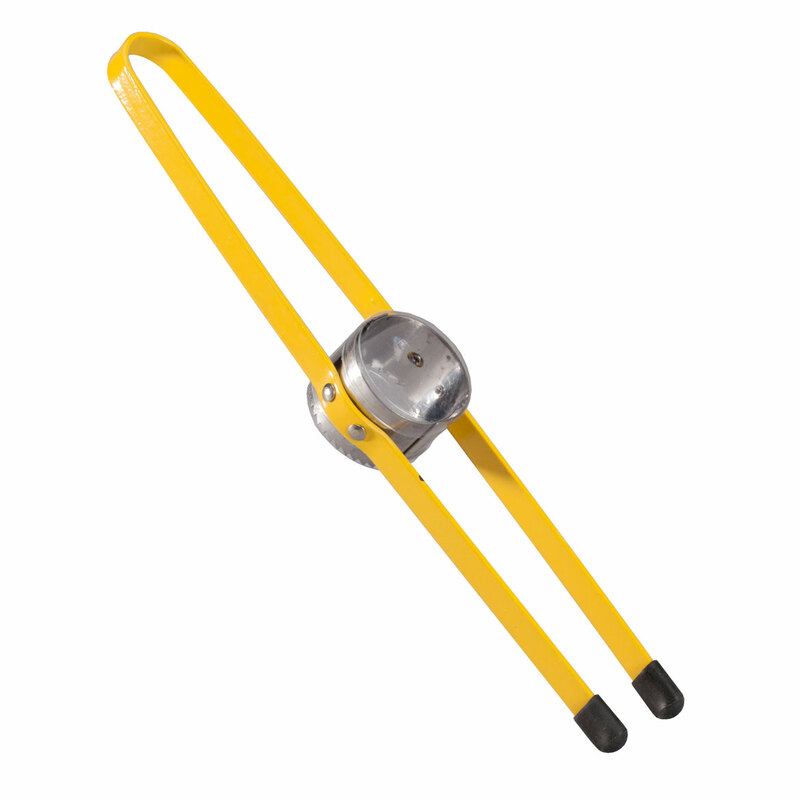 Use for specific objects that are hard to reach without the extender sprayer. i USE THE PRODUCT ON MY KITCHEN FAUCET. i HAVE ONLY ONE SINK SO IT IS A VERY HANDY TOOL. I would buy this product again...and have! Great product. Moved into an apartment with older faucets. Never could get the food and soap out of the front and corners of the sink. Very powerful and can now reach places in the sink to clean that were impossible to clean before! I have a standard faucet similar to the one shown in the photo. When the flexible sprayer is added it makes the water come out quite low inside the sink. In most cases this works fine but it really makes filling a tall pitcher or vase quite difficult. I have a sprayer beside my faucet, but this little faucet attachment is so much easier to use than pulling out the sprayer hose and then having to push it back in. I would recommend to those who don't fill tall vessels very often unless you have a deep sink basin. Fantastic sprayer! Reaches all corners! This sprayer allows me to scrub kitchen sink and spray all corners. Use to have to use cup of water for rinsing. My neighbor is now interested in getting one! I bought one of these quite a few years ago and like some people have said, they were worthless, but that was wrong. I just did not study it properly and couldn't understand how it connected. Once I figured it out (I'm old), it is the best thing since sliced bread! Matter of fact, I came back and bought two more, one for each of my bathrooms. They are just so convenient, it sure beats those useless sprayers that come with the faucet unit. I am going to buy one for my friend, she liked mine so much. I have one of these on every faucet in my home. Very convenient and handy. I have been using this product for many years and the quality assures you that they will last forever. I bought and given them away to friends. Great for when you are washing your hair in the sink. Can't say enough about how grest this product is. Works great & HAPPY to find this gem! Easy to install. Great for washing small dogs that hate the water. Best inexpensive solution Been looking for this for 5 years. 5 stars. 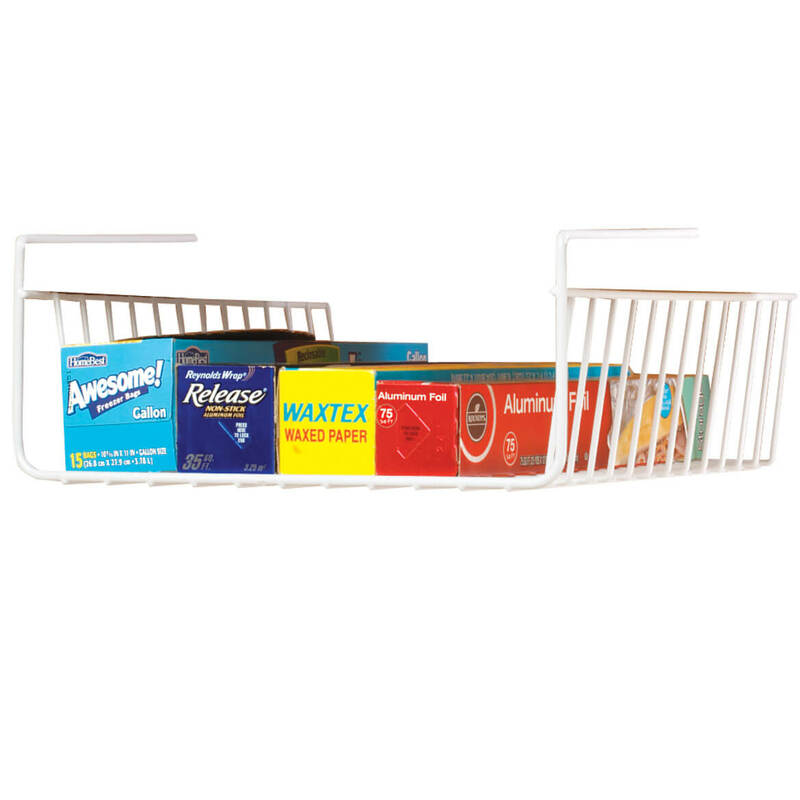 Extends the use of a laundry tub. The flexible sprayer washes the dirt from every nook and cranny of the tub. The added extension of the sprayer makes this possible. I had waited too long to purchase this product. Just do it. This is perfect for my farm house sink in the kitchen. Our faucet sits higher and this brings the spray just to the top of the sink. Eventually the tubing on the inside started to leak due to being used constantly, but we found an easy replacement by using surgical tubing from the hardware store. I'm back for another for my neighbor. The price was suspect...not so.! Easy to install..just needs to come with spare washer. It is not easily found at local hardware. I have purchased this product again and again! I have purchased this for the church kitchen, the school kitchens, camp, and rental properties! 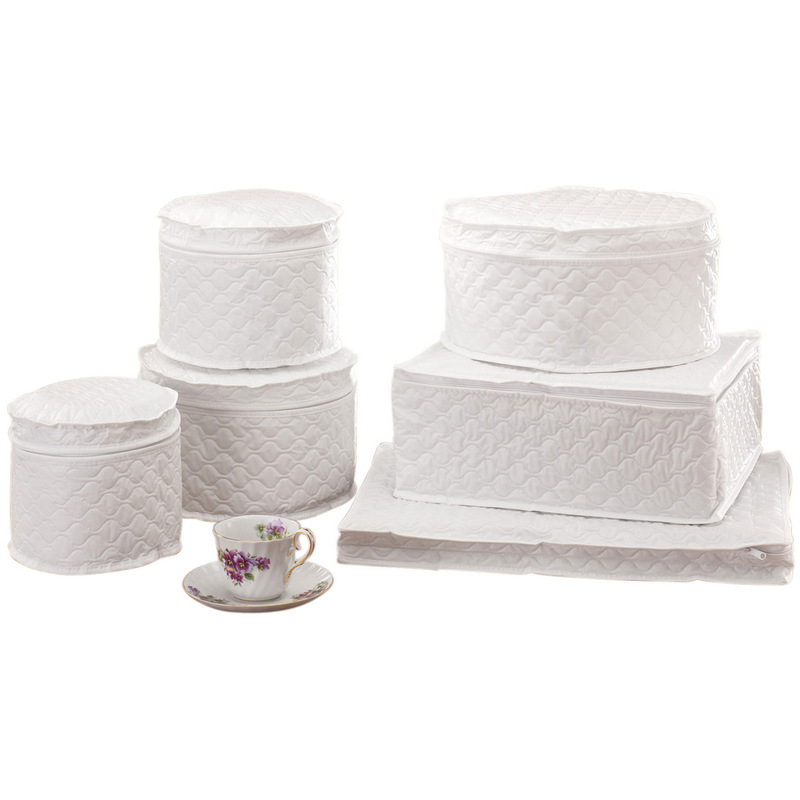 It is fabulous and the price is excellent for such a useful item. I love how it is adjustable from spray to stream! WE WERE LOOKING FOR SOMETHING TO ADD TO OUR KITCHEN FAUCET IN OUR CAMPER. AS SOON AS WE GOT IT WE PUT IT IN AND IT WAS THE PERFECT THING FOR IT. When my spray attachment failed this was the perfect solution. In fact I haven't missed the spray attachment. easy to install, love it!!! I am happy with this attachment for my faucet in the Kitchen. Easy to install and clean, powerful spray, gets the sides of my sinks clean! Can't ask for more. I would recommend this product for anyone. Great for spraying kitchen ware after meals to avoid food hardening . Makes the cleaning of my sink much easier. Wonderful device. This is a wonderful addition to the sink! this faucet is the best thing I have bought in a long time. I use to get water all over the back of the sink but not anymore. I LOVE IT! I went to some stores in town and no one had anything. I gave them the information in your catalog and they was going to see if they could get some. I use this product on my kitchen faucet it works great love it would buy it again. When cleaning the animals, I no longer have to force them under the faucet. I really get them rinsed well. 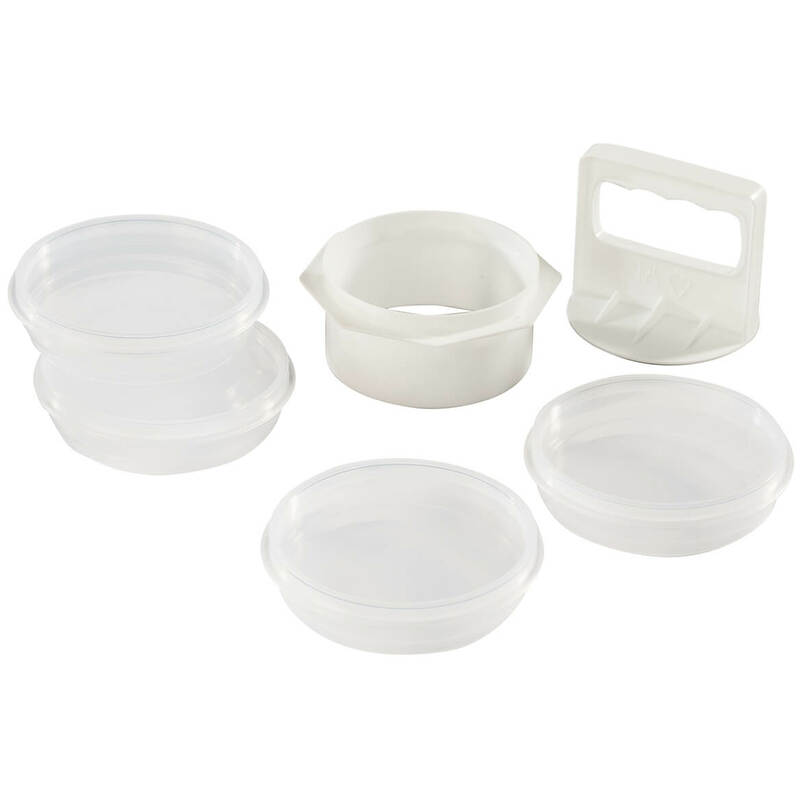 Very useful for removing food from plates before placing the plates in the dishwasher. It's great for washing off vegetables and rinsing out the sink after you've scoured it. I used to have to use a cup to rinse all areas of the sink, now I can use it like a little garden hose to rinse anywhere in the sink. It increases water pressure, too. Since I didn't have the option for a sprayer on my sink this came in handy. Easy to install and works just as advertised. Putting aside the dribbling leaks down the stem and the stem that gets very hot to the touch I can't imagine a better product or a better deal. The price here is absolutely correct. I may wrap part of the spout with a plastic tape to alleviate the heat problem. It works for me wonderfully in a tiny bar sink that sees containers from huge preparations in my home. It is very hard to find such a thing in a hardware shop. Very useful and convenient. The complex where I live does not offer a sprayer or a dishwasher. I love the sprayer when washing and rinsing dishes. I just finished cleaning grapes that I put into bags and freeze. I find this a very helpful piece of equipment for me. The faucet attachment is great, the only problem I have with is that changing the spray pattern is sometimes a little hard, because it's "tricky" changing its position. I love this nozzle for rinsing pots and pans. It also makes cleaning and disinfecting my bird's cage easier. My only criticism would be that it could a little sturdier. This is the second I have purchased. I am going to try to be a little more careful this time. I'd been looking at this sprayer for a long time so finally purchased it. I wanted it for washing/rinsing large pots in the sink and for rinsing the entire sink, I have a deep, single large sink. It serves the purpose very well, also good for washing hair in the sink to rinse shampoo out. The only thing that would make it better would be if it was retractable, then it would be perfect. This attachment is best if you have a large kitchen sink like a farmhouse sink; otherwise it hangs down too low to make rinsing dishes easy. Its function is fine and will reach sink corners and ledges. Very handy little sprayer but could be a little longer. This is well made and would be great for a deep sink or tall faucet. However, our sink is neither of those so I found it was too long and got in the way. So no longer use it, but only for that reason. I can reach areas so I don't have to struggle to put water there with a cup or whatever!! This faucet extension works very well and is easy to install (no tools necessary). The ONLY drawback I experienced is that the extension, when placed on a conventional kitchen sink spigot, hangs a bit low, very close to the sink basin bottom, thus not leaving too much room between article being washed and the faucet extender sprayer head. I must say though, it is a good incentive in that respect to always keep your sink clear of dishes and clean up dishes immediately after a meal. Bought one of these for our kitchen. Loved it so much we bought a second for our motor home! It so easy, how easy you thank the company you will be happy. Couldn't upgrade sink faucet in new apartment but this device was the perfect compromise. They only last about three months! Hangs a little too far in the sink. The sprinkler is fine. The only draw back is that it hangs over too low in the sink. wanted a flexible faucet for my utility sink. Purchased as a replacement but it does not stay where you place it like my old one purchased elsewhere. It moves anywhere but you have to hold it in position. Not what I was looking for. My faucet doesn't have an independent sprayer so this helps take care of that problem. Still, it was worth it for the price. To be able to rinsh behind the kitchen facet and squart the floor. It is doing the job, but the pressure of water is not to great. I had planned to use this short hose to help me wash my Small Yorkie in the Kitchen sink. But unfortunately is still to short to use for that. This would be great if it was 2 or 3 inches longer. I really wish they would make one longer. I am disabled and cannot bend over the tub to wash my dog there. If anyone knows where I could get a little longer one, I would appreciate any comments on it. OTHERWISE THIS IS A GREAT PRODUCT TO WASH DISHES OR USE IN THE KITCHEN SINK. I bought this and was looking forward to having it. However, it does not thread onto my faucet. It needs a different thread adapter but none included. I have to keep it because it costs more to send it back than it's worth. Waste of my money. At first it worked really well, but the little mesh screen inside rusted out within 6 months. A little later the whole thing broke off of the faucet. Obviously made of very cheap, not-good-quality materials. Too bad really. I loved it when I first hooked it up but after a few days, the device started to leak. Would be great if it fit or had an adapter so it would fit. I wanted this for a laundry tub to bathe a small dog in but the faucet sprayer does not fit the faucet, it is way too small. Is there an attachment to make it fit? I went around the house & it didn't fit any faucet. Good idea but useless in theory. I would like it to work to clean the laundry tub easier also. No it not fitting right and not easy to use. Sending back. Wouldn't fit. well and leaked. I used this product on the kitchen sink. It was easy to install and worked well for the first few days. I noticed the outside covering starting to separate from the nozzle. With the next use, the outside covering separated from the faucet attachment, exposing the hose (which also had a hole in it) and completely soaked me. I only used this adapter for routine kitchen dish cleaning, and I am not impressed with how easily it broke. wasted my $ because I wasn't able to use on any faucets?? doesn't fit bath or kitchen so measurements should be given so we can order a product we can use! I definitely would not have purchased this. I wanted it to wash my hair. My head and sprayer did not have enough room to spray. Sprayer was too short. I plan not to return it, to much of a hassle and postage cost. This item does not fit my faucet no matter what I screw or unscrew. In the box when it arrives, it says, "the sprayer will fit US Standard size faucets. However, this item will not fit all faucet types and designs." This would have been helpful in the description of the item. When I called, the gal pulled up the specs which should have been posted online but she was the only who could see the dimensions. I'm out $13.97 with shipping on your basic made in china trash. However, I can send it back at a cost of ~$5 to get a refund of $7.99. it would of been nice if the faucet attachment fit my faucet, the discription of it is not really true!! Bought the product to extend the cleaning ability in my Signature sink; my current directional sprayer doesn't quite reach the far edge. This product leaked badly in the 'hose' portion NOT the faucet connection (I've used similar products for years). Also, the flow was weaker than expected, possibly due to the hose leak. Didn't return product because spending more time/money on a lost cause isn't the way I roll. Because our current faucet is so close to the side of the sink that it isvery hard to rinse dishes off. So I am going to try this and see if it helps. Next step would be to put in a new faucet! In my apt. the sink is small and has no hose. I have a sprayer something like this but this reaches better. I have been using one of these on my utility sink for years and love it. Need a replacement. I have no sprayer hose at my kitchen sink and I think this will work just fine. I have double sinks and it is almost impossible to rinse all sides and corners of the sinks after I have scrubbed them. I need a sprayer on my kitchen faucet that has a wide range of spraying....This fits the bill! I had one before and I love this item. It makes dishwashing a breeze. Could use it at vacation house. appears very convenient and helpful in kitchen. I like the way it works for my wife. Easy spray! Hoping this will improve the performance of my camps faucet. Daughter has one and I like it. For my 93 year old dad. Will help greatly in cleaning all areas of my kitchen sink. want to wash my cat in the sink. Hope it works! live in an apt. with no spray attachment, and need it to reach all area's of the sink. Will let you know if it works, as I have just now ordered it, and never used it yet. I hope it is easy to attach, as the ad says. ????? Quick and easy clean up for the sinks. Love this item! Have worn one out and this order is a replacement! SO convenient, much better than pulling out the sprayer. Inside or outside threads to attach to the faucet? Will it screw inside the faucet or screw to the outside of the faucet? BEST ANSWER: There is an adapter on it to screw inside the faucet. You just unscrew that to remove it and it attaches to outside of the faucet. So, in answer to your question it works for either one. I think you would like it. I use mine many times throughout the day!! :) Good luck and Merry Christmas!!! Thank you Mary. Just what I need. A very Merry Christmas to you and a Healthy New Year. The attachment has threads on the inside. What is the thread dimension? BEST ANSWER: Thank you for your question. 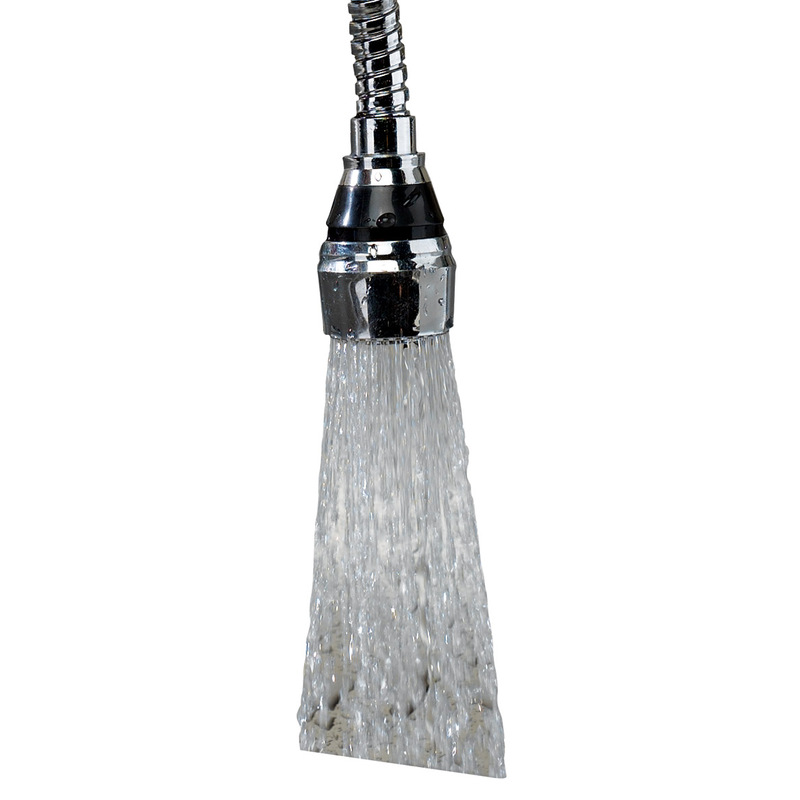 For the faucet sprayer attachment there is a threaded adapter with different threads for different faucets and has a diameter of 7/8". We hope this information will be of help to you. it does not matter what the thread dimension is because it will fit on any faucet. There is different dimensions to take appart so it will fit. I sure like mine. Hi there, sorry, I don't know. However I gave it to my daughter and it fit just fine on her regular sized faucet. Hope this helps! U can attach to inside or outside threads on regular ROUND faucet. What size are the threads ? BEST ANSWER: It's standard faucet thread. Take the existing aerator off and it should thread right back on it's place. However, after using this product for awhile, it really didn't fit my needs, so I removed it and purchased a swivel aerator from Home Depot. Hope this helps. Thank you for your question. 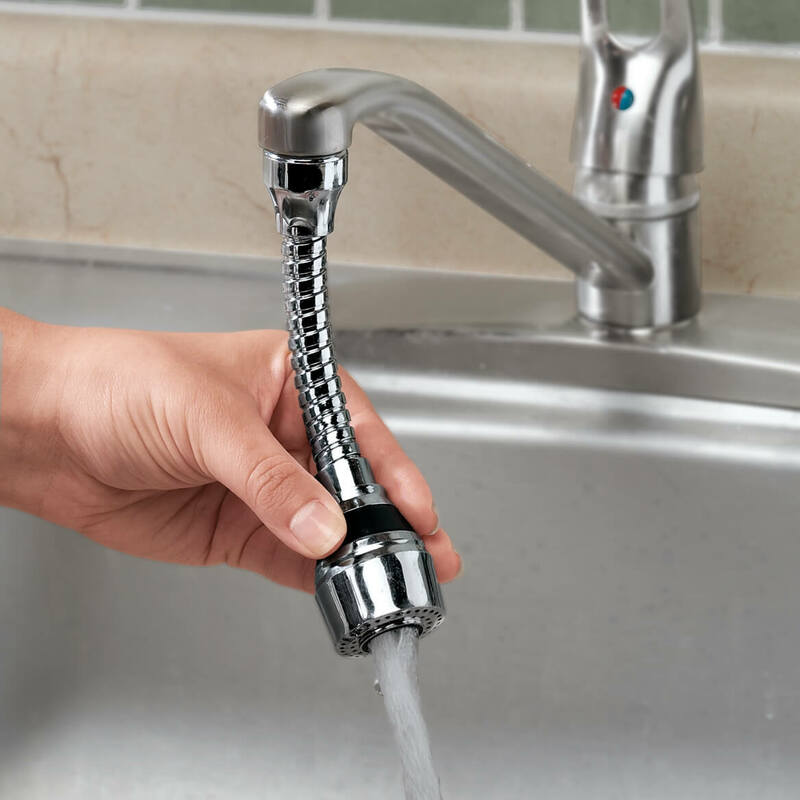 The flexible faucet sprayer has a thread adapter with different threads for different faucets, and the diameter of the part that attaches to the faucet is 7/8". We hope this information will be of help to you. Normal fitting threads for faucet screen connector. Remove screen connector and replace with Faucet Sprayer. I find the Faucet Sprayer to be a great helper in our dry sink. The threads appear to be the standard size for my utility room basin sink hardware appliance. It has been used 3-4 times daily without leakage or malfunction. I can't switch my sprayer to the spray mode by twisting or pulling like shown in the picture. Am I doing something wrong or is mine faulty? BEST ANSWER: I bought 2 of these awhile back. You have to pull the bottom of the sprayer down. I hold the hose piece and pull slowly down on the silver piece at the end. You might twist the bottom piece first and then pull. Love mine. Will it fit onto a Gerber utility sink faucet? BEST ANSWER: Thank you for your question. The diameter of the sprayer is 1 1/4" diameter. Please measure your sink and order accordingly. We hope this information will be of help to you. Will this fit on a Chicago faucet ? BEST ANSWER: It was great. I would tell others about Walter Drake items. will this fit to square faucet of bath tub? BEST ANSWER: Thank you for your question. No, this item will not fit on a square faucet or on a bathtub faucet. We hope this information will be of help to you. is there an agent in australia? is this BSPT Male or female? and is the a longer one, 10 - 12"? BEST ANSWER: Thank you for your question. We do not sell this item in any store locations in Australia. We do offer international shipping to many countries including Australia. We do not offer this item in a different/larger size. This item has a threaded adapter with different threads for different faucets. We hope this information will be of help to you.